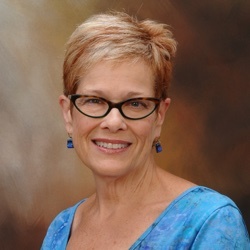 Barb Starling is a licensed master social worker (LMSW), a member of the Academy of Certified Social Workers (ACSW), an EMDRIA Certified EMDR Therapist and a Consultant for the Parnell Institute. Barb’s background encompasses both the Community Mental Health System and the private mental health sector. She has practiced social work since 1990. Barb utilizes an integrative, person centered approach, tailoring therapy to each individual’s needs. She is trained in and incorporates Eye Movement Desensitization and Reprocessing (EMDR), Cognitive Behavioral Therapy, Dialectical Behavioral Therapy, and Sensorimotor Psychotherapy. Barb is skilled in the management of depression, anxiety, trauma, grief and loss, developmental trauma, substance use/addiction. Barb has an easy, sensitive, relational approach. Her aim is to help you make sense of your feelings, your past and current difficulties, enabling greater self-awareness, so change becomes possible.